Comes included with attempted fowler flaps, and outboard single-slot flaps. Also comes with flight spoilers (toggle with 8). 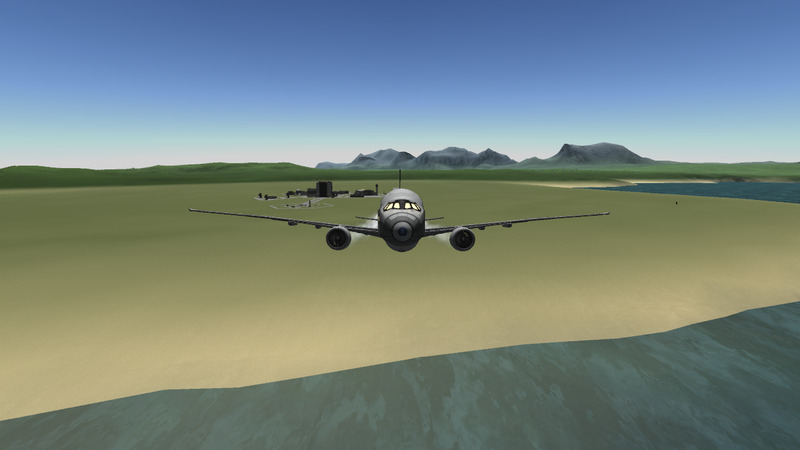 When landing, it is unadvisable to pancake the plane onto the ground, as the wheels don’t hold up too well. Warranty voided if executed. Raked wingtips included, with a massive 0% decrease in fuel consumption. Doesn’t like to fly high very much for some reason, so limit cruise to 5500m. 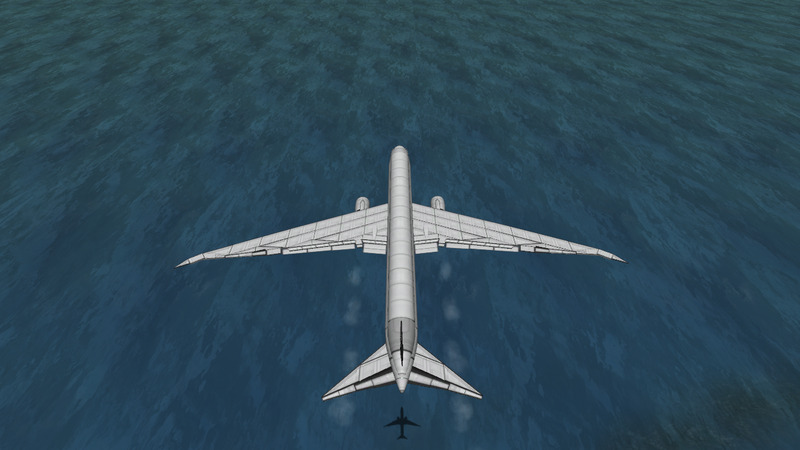 The flaps might deploy wrongly, so invert when necessary. A stock aircraft called Boeing 777-300ER. Built with 186 of the finest parts, its root part is mk3Cockpit.Shuttle.